Have you ever been interested in trying roller derby? Well, now is your chance! We are dedicating a night of fun for Roller Derby 101! There will have gear on hand for you to try out skills, a Q&A session, as well as a demonstration. It is recommended that you bring a boil & bite mouthguard for your protection. Also, bring a bottle of water and dress in comfortable clothing. Not really interested in being a player, but would like to be involved in other ways? We got you covered there as well. We are also actively recruiting skating officials, non-skating officials and other volunteers. Come out and see what we are all about! 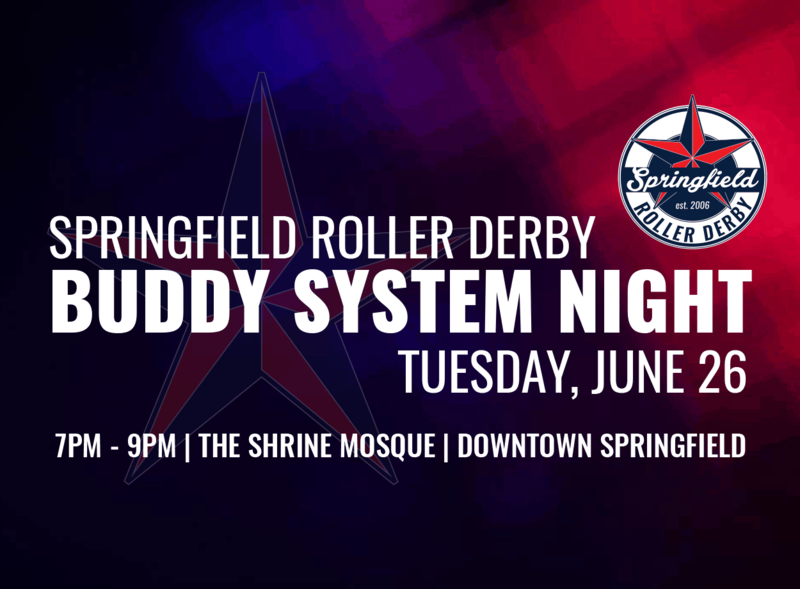 If you have any questions, please message us your drop us an email at info@springfieldrollergirls.com or message us on our Facebook page www.facebook.com/springfieldrollerderby. You must be 18 years or older to participate. Upon arrival of the event, you will need to sign a waiver and present you I.D. You may pre-register for the event here!